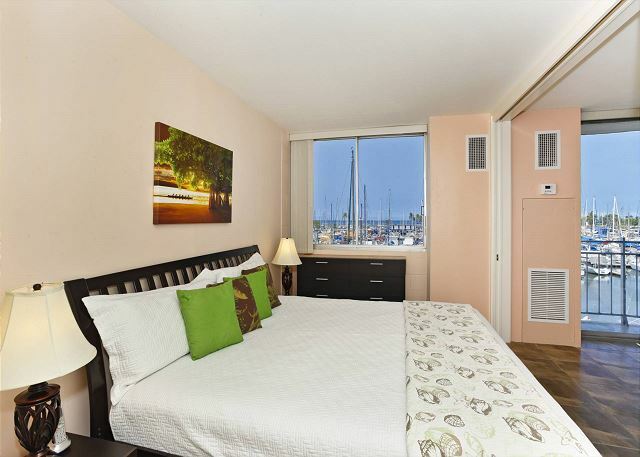 Ilikai Marina #386 - Updated one-bedroom with AC, WiFi & views of the marina! Sleeps 4. 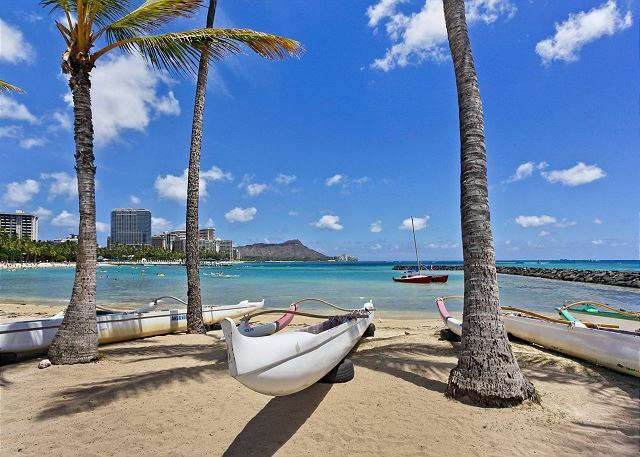 Enjoy spectacular sunsets and beautiful ocean and Ala Wai Yacht Harbor views from this conveniently located one-bedroom condo (651 sqft plus small lanai). On Friday nights, you'll have your own front-row seat to the Hilton's fireworks! 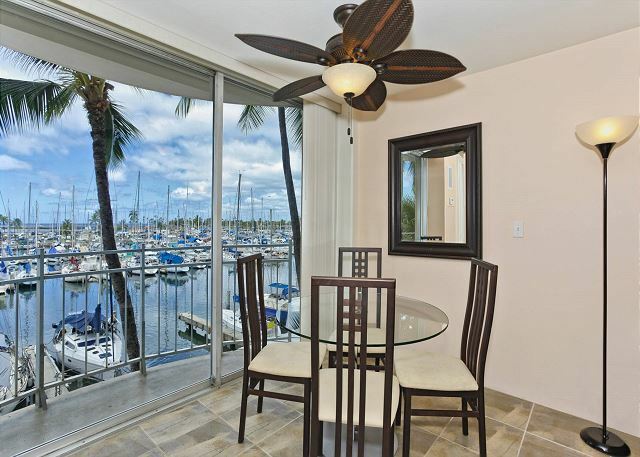 - Dining Table (seats 4) with marina view! - Tub/shower combo with hand-held shower wand. 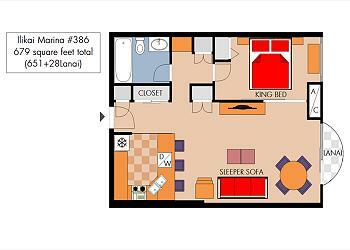 This non-smoking accommodation sleeps 3-4 and is not affiliated with Ilikai Hotel.